Guarded at all times by elaborately dressed royal guards and fez-topped security personnel, Rabat’s two most visited sites stand opposite each other along the magnificent Bou Regreg river. Hassan Tower (or Tour Hassan) and the Mausoleum of Mohammed V are two of Morocco’s most mystical places: one is an incomplete project of majestic proportions and the other stands as a masterpiece of modern Moroccan architecture, holding inside the grand tombs of past kings. Wander through the ruins of columns and enter the ornamental grandeur that is the exquisite mausoleum to discover a part of Moroccan history that will forever remain incomplete. I lean on a wall at Café Maure in the Kasbah of Rabat, looking across the river to Salé, Rabat’s smaller twin which took its name from the Sallee Rovers, pirates who terrorised the Atlantic shores as far as the south coast of England. Today there is only one boat with a single occupant sat on the flat water of a heavy grey day, without a single ray of sunshine to lighten the sky or a breath of air to disturb the river’s surface. Around me, a young man lays out cushions on the bench seating that follows the line of the wall, ready for another day of mint teas, honeyed pastries, tajines, and couscous. While we all love bright blue skies and white fluffy clouds, especially on holiday, a day like today can make you pull in the horns of sightseeing, and simply enjoy what the day brings. 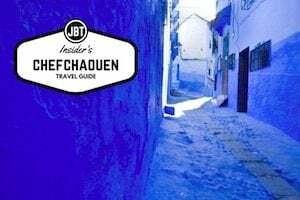 Located on the North Atlantic coast, Morocco’s capital of Rabat has a more unhurried and laid-back feel to it than Casablanca, the country’s cosmopolitan business hub or the frenetic bustle of Fez’s walled city. 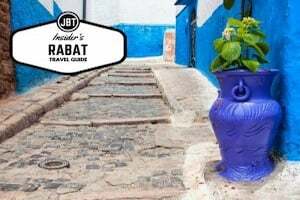 Plagued by pirate attacks through much of its history, Rabat was often overshadowed by Morocco’s other imperial cities of Fez, Meknes and Marrakesh, but it has served as the country’s capital continually since 1912. 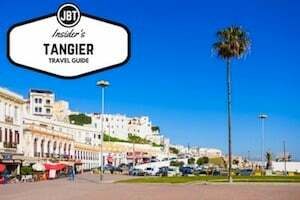 Acting as Morocco’s capital city for since the French protectorate, which ended in the 1950s, Rabat is more of a laid-back coastal town more than it is a booming metropolis like its much bigger sister city, Casablanca. The capital city has a lot to offer, especially in the way of monuments and historical sites worth visiting. 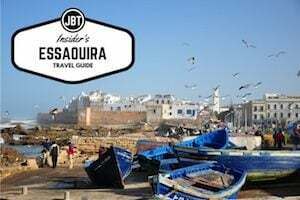 Additionally, Rabat has a medina that is worth exploring. 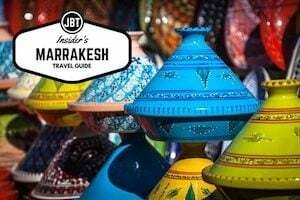 While it is minute when compared to the Fez Medina, for example, it is hassle-free and you can get real bargains on Moroccan crafts and even Berber rugs. While Rabat is booming in an economic, political, and administrative sense, it is a place where learning and the arts are highly respected. The monuments here speak of an ancient and fertile past that links the country to both the Phoenicians and the Carthaginians. When the Romans moved into the area to create what would become their farthest colony south of Rome, they left artifacts and ruins that can still be visited. Eventually, Arab rulers took over the city and built a fortified kasbah that they called a ribat, which is where modern-day Rabat got its name. When the Almohad Dynasty moved in around the twelfth century, they rebuilt the kasbah and used it as their war base while taking over the south of Spain. While Rabat has many impressive monuments and sites to see, the most beautiful are the Chellah Gardens that are open daily to the public. In the springtime, the flowers inside the garden are blooming with colors and heavenly scents. Unlike Menara Gardens in Marrakesh, which were never inhabited, the Chellah was left completely empty by the 1200s because more people were moving to the more popular city of Sale, which is separated from Rabat by the Bou Regreg River. The Sanctuary of the Chellah Gardens was used as royal burial grounds. The Almohads who had the door decorated and inscribed with Arabesque calligraphy created the remarkable entrance into Chellah. The Roman ruins of the Chellah Gardens, much like the ruins of Volubilis are also open to the public and many travelers are surprised at how freely tourists can roam around the area. With minimal observation from the workers and security working there, it is up to travelers to make sure they respect certain areas. The Sanctuary of the Chellah Gardens are the true home of the Islamic artifacts that were uncovered here. A minaret made of stone is a nice centerpiece. The Abou Youssef Mosque is now in ruins and was a small structure to begin with. However, the area is near the royal tombs, where Abou El Hassan and other historical leaders of importance are buried. The Mausoleum of Mohammed V is also a mosque was, strangely enough, designed by a Vietnamese architect who wanted to capture the more traditional Moroccan art techniques, while still asserting an air of modernity. The Mausoleum is one holy place that foreigners and non-Muslims are allowed to enter. The Hassan Mosque in Rabat was started as an ambitious project to be one of the largest mosques in the world. The mosque was designed to be a symbol to the success of Morocco over its battles with Spain. Like the Kairouine Mosque in Fez does, this mosque would have held tens of thousands of worshippers. However, it was brought down and left unfinished when the Lisbon earthquake also brought down several structures along Morocco’s coast with it. The structure is unique and each of its different faces gives way to a different type of architecture, namely a motif called Shabka that is still popular today.